In the 14th centuary,Tarot cards were used to play a game called "tarocchi". The Tarot is a remarkable ability to focus on a particular problem and provide great insight into its possible cause and solution. It can also pinpoint future events with tremendous accuracy describing them in a remarkable detail. In essence it is a marvelous psychological tool that enables us to understand ourselves better.The pictures and symbols that are featured on these cards are associated with certain happenings in one's future. The card readings are a road map which will guide to your destinations and help you in over coming your problems successfully. The tarot card readings done not only reveal the future but also gives you the means to achieve the results you desire. It awakens inner vision and brings lasting success, prosperity in your lives There are different kinds of spreads for different issues. Each individual is unique because the dna , finger prints , destiny are different for different individual therefore we have different kinds of cards like angel card , tatwa card , karma cards which are used for predictions depending on the problems of the individual . The card reading is a road map which will guide you to your destination , show you short cuts so that you can face your road blocks in you life successfully and emerge victorious. 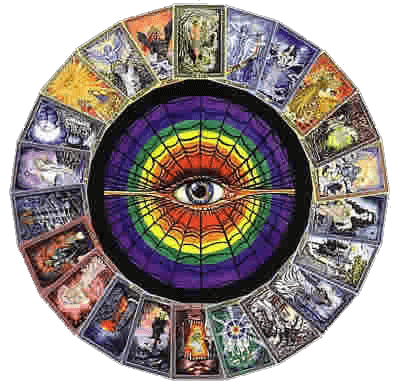 Tarot card is a tool for fortune telling , divination, prediction, self development.